Throughout his travels around the world, Scott has met many interesting people who, through introspective conversations, eventually lead him to beautiful locations in their community. 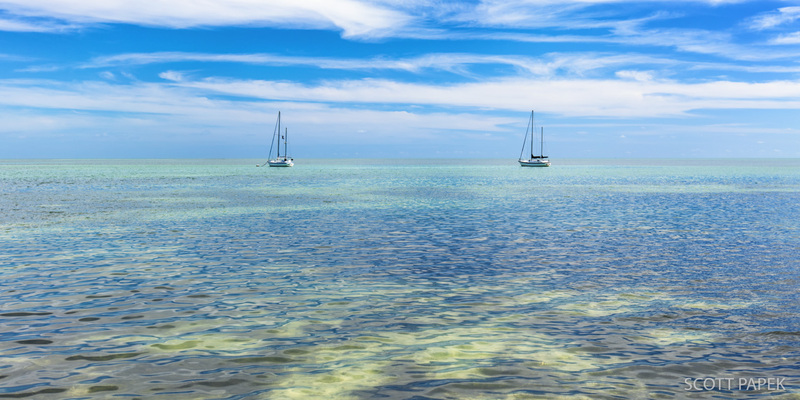 This image captures Bob’s boats from Islamorada Island in the Florida Keys. Bob has been residing on the water for fifteen years, has three girlfriends, and loves beer. Scott says that Bob never had to tell him any of the above facts because it was so easy to read in his eyes that he had a passion for life that was not only addictive, but also contagious. Photo © copyright by Scott Papek.